Two storey villa with private half-fenced garden and communal swimming pool for 8 houses in a residential area of the Costa Brava, very peaceful and with little traffic. The swimming pool is 50 meters away from the house and can be seen from your own garden. 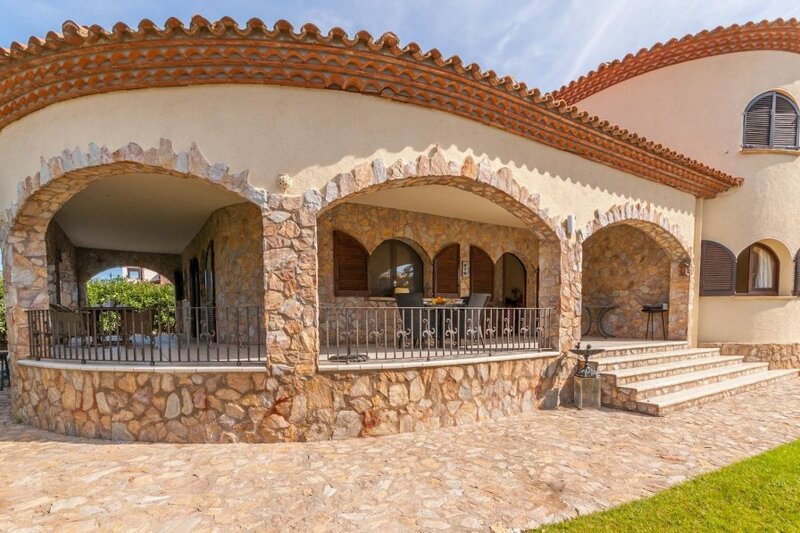 The villa is perfect for families with small children or groups of friends. The layout consists of two separate floors although they are rented together. The entrance to the first floor is from an outdoor stairway. On the lower floor there is an open kitchen, a large living-dining room, a laundry room, a complete bathroom and two double bedrooms, one of them with another bathroom. From both the kitchen and living room you can access a large porch with outdoor furniture. This is perfect for enjoying a nice breakfast in the morning while the children bathe in the communal swimming pool or a lovely dinner taking advantage of the cooler nights. The house location is perfect for those who want to go to the fine sandy beach with shallow sea that is only 6km away. It is also perfect for those who want to visit the area rich in small charming villages, go on family cultural visits such as for example, visiting the ruins of St. Martí d'Empuries only 15 minutes by car, visit the Dalí Museum in Figueres (20km) and make the most of going shopping.